The Salvation Army is an international movement, an evangelical part of the universal Christian Church. Our mission is to preach the Gospel of Jesus Christ and to meet human needs in His name without discrimination. Through our broad range of services, The Salvation Army touches the lives of one out of every eight people in Northeast Florida. 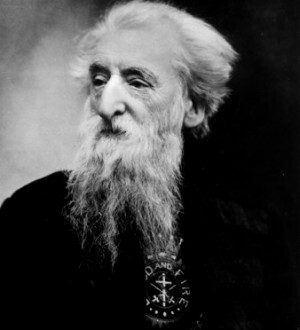 The Salvation Army began in 1865 when William Booth left the Methodist ministry to begin a mission in the poverty-stricken slums of London, taking the message of hope and salvation to the destitute people who needed it the most. Many of Booth’s first converts to Christianity were rejected by traditional churches due to their pasts, but Booth still continued to support them spiritually and to challenge them to save others just as they had saved themselves. Early in its history, The Salvation Army was set up with a quasi-military structure patterned after the ranks of the British Armed Forces. This structure has contributed to a reputation for discipline and mobility that serves the organization well. The first meeting of The Salvation Army in America took place in Philadelphia in 1879. Glowing reports of the work in Philadelphia convinced Booth to send an official group to pioneer the work in America in 1880. Eleven years later, The Salvation Army of Northeast Florida was established. The Salvation Army began serving the people of Northeast Florida in 1891. Since that time, we have been providing food, clothing, shelter and countless services to assist those in need. In 1924, The Salvation Army started the Adult Rehabilitation Center (ARC) for men struggling with addictions such as alcoholism and drug abuse. Today, the ARC, located on Beach Boulevard in Jacksonville, houses 125 men battling addiction. In 1985 the Women’s Auxiliary organization of Northeast Florida was officially chartered. Other milestone events include the start of the Meal Ministry program (still serving dinner 7 nights a week) in 1997, the opening of our 5-Star Child Development Center in downtown Jacksonville in 1998, Cold Night Shelter in 2001, and the Towers Center of Hope interim housing facility in 2015.